Cath Gardner - meherbabatravels jimdo page! Thomas Parham sent me the photo of Catherine and he stated that she was married to his grandmother's brother - Bill Mayes and they both lived at Ojai. She lived to at least 102 years old. Two ladies, Cath Gardner and her friend Alice Green, were staying at Harmon to help cook and clean. Together they had previously opened a small institute in California, the purpose of which was to study spiritual matters and give instruction in how to lead a simple life of spiritual values. Their years of labor had born little fruit, and Cath was in search of a Guru to guide her. After being in Meher Baba's presence, Cath exclaimed, "I was waiting for the Master and now I have found him!" People always make a mistake when they talk of leading a simple life. To live such a life is infinitely difficult. Outwardly, a person may wear plain garments and have a simple diet, but this is not living a simple life! The spiritual life is lived when a person is free of all desires, thus becoming completely open and guileless. What is the use of only outwardly living in such a way? The elaborate dress of desires and longings is there, side by side with a feasting ego! The real meaning of leading a simple life is to be totally desireless, and to become desireless is impossible without a feeling of love for God. 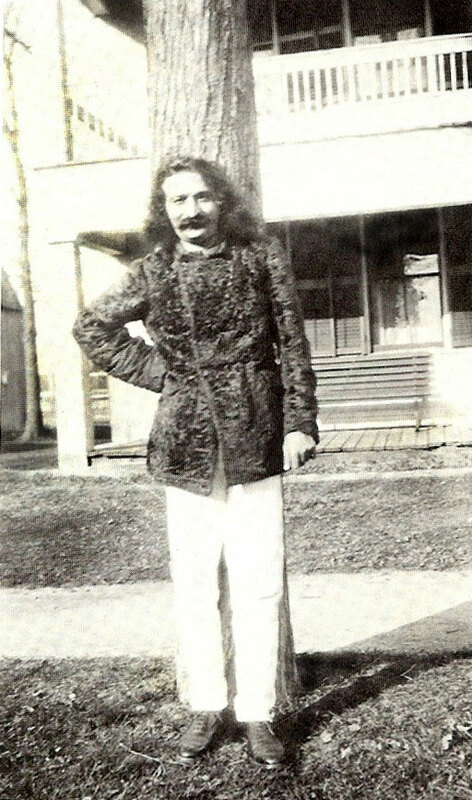 People wanted to establish a retreat in America in Meher Baba's name. 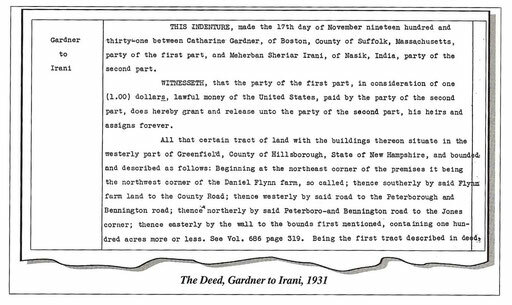 Cath Gardner wanted to turn over to the Master her one-hundred-acre, wooded estate called Greenfield in Hancock, New Hampshire, to use as a retreat. 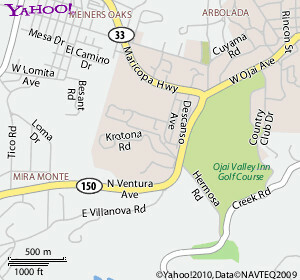 Baba liked the idea and drove there to see the place on November 23rd. It was a beautiful spot surrounded by mountains and meadows. It had an old farmhouse with ten rooms. Although the original idea was to create a center there for him, the plan never materialized. After staying five days in Harmon, Baba departed at eight in the morning on Friday, December 4th. 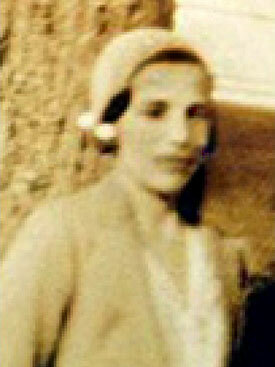 A lady named Eileen Burns drove Baba into Manhattan; Norina and Malcolm also rode with him. Cath Gardner drove Ali, Meredith and others in another car. They arrived at Mr. Stokes' residence in Greenwich Village around noon. Although Baba had previously indicated that he did not wish to see anyone, he changed his mind and met with several new people in New York. ON JUNE 1st, Cath Gardner and Max and Lillian Wardall arrived from New York City. 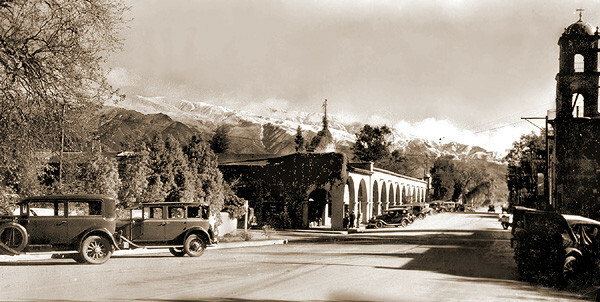 Baba visited Metro Goldwyn Mayer Film Studios the same day and saw the actor Lewis Stone perform. Baba met Virginia Bruce and saw the sets of Mata Hari, which Greta Garbo had just finished starring in. They also met the director Josef Von Sternberg, who was directing Marlene Dietrich in The Blond Venus. Baba commented that he did not care much for Marlene Dietrich's role, but liked Von Sternberg as a person. Journeying to Meher Baba's First American Spiritual Center"
Meher Baba meetings regularly occur in either the Southern Maine area, in York, a short way above the Maine-New Hampshire border or in Portsmouth, just below the border. 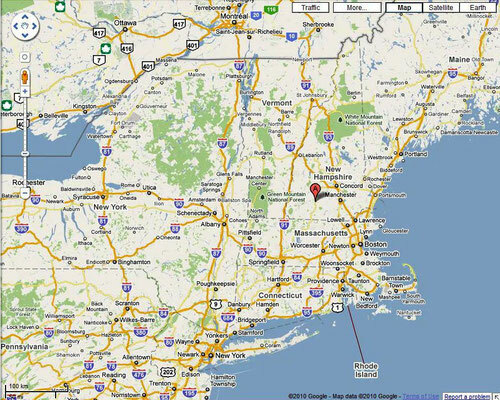 Regardless of where it meets, we have always referred to our group as the New Hampshire Group. In the back of the minds of some of us had been the sleeping awareness that Meher Baba had once made a trip to New Hampshire. It happened in connection with his visit to Boston in 1931, during His first visit to America. A host of questions naturally arose. Is the farm or estate still in existence? Why wasn't the spiritual centre established there? And who is Cath Gardner? Why hadn't we heard any more about her after this reference to events during Meher Baba's first trip to America in 1931? Along with these questions there immediately arose in me the sense that this site had a special energy or presence of Meher Baba for us in New Hampshire. 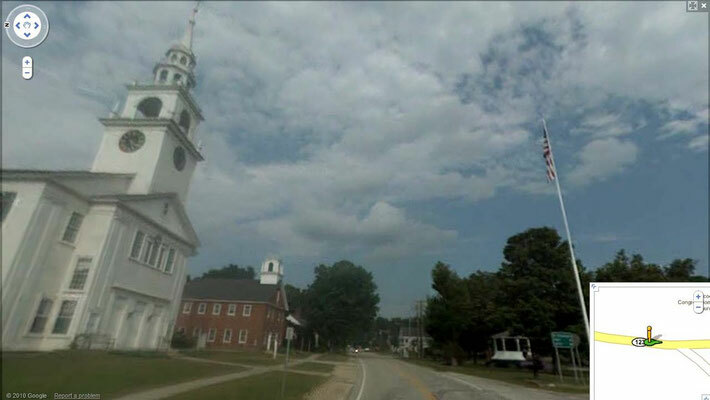 Hancock, New Hampshire, is a small town on the other side of the state, about three and a half hours from my home town of Auburn, Maine, and about two hours from where our group met. So, we couldn't readily just hop over there and look around, and when we did go there we wanted to know as much as possible about the site. 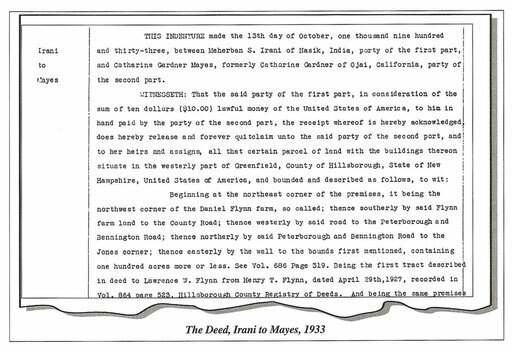 One of the people in our group had parents who lived not that far from New Hampshire, and were knowledgeable about searching in town records and deeds. 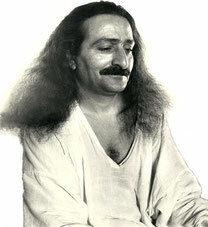 Though not being Meher Baba lovers, they were somewhat intrigued by the story and readily agreed to go to Hancock and do the preliminary search. In the meantime, others of us combed back thorugh the Meher Baba literature to find out what more we could about this. 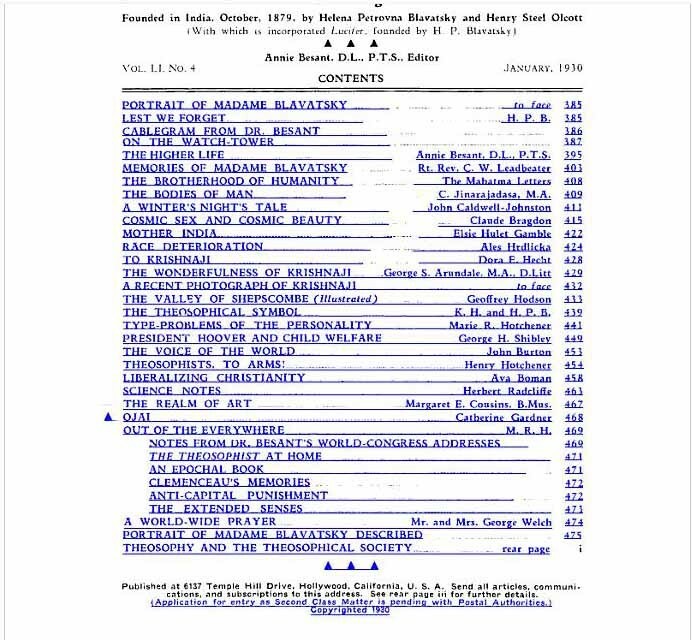 The first natural place to turn was Jean Adriel's book, Avatar, since it was a detailed account of those early days in America with Meher Baba. 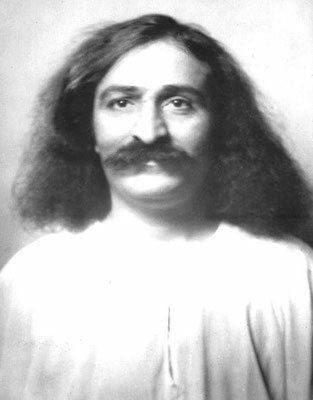 References to Meher Baba and Hancock were found there, but these were eventually overshadowed by the fuller account covering the same material in Malcolm Schloss's diaries (Jean's husband). Naosherwan Anzar in Glow International had previously published these in the November, 1991 issue. 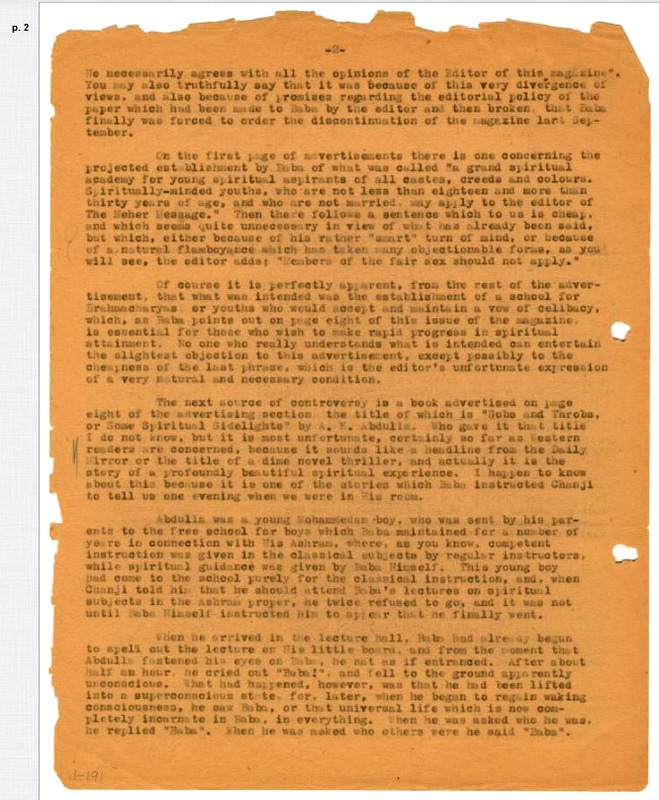 There is quite a story of the discovery of this manuscript of Malcolm, long considered lost, and this is also recounted in that issue. 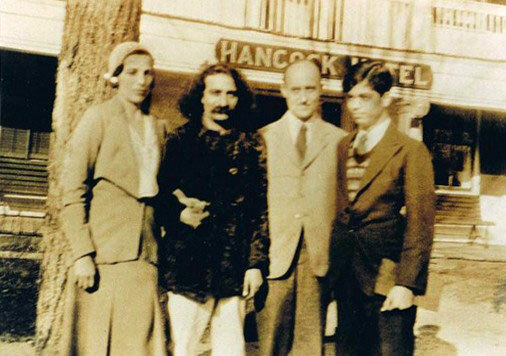 Malcolm and Jean were among the very first people in America to hear about Meher Baba and meet him. Malcolm ran a spiritual bookstore in New York called The North Node. 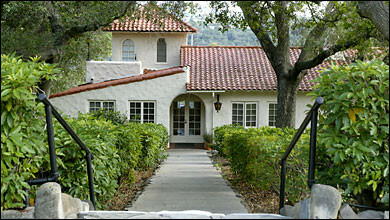 In connection with the bookstore, Malcom, Jean and a group of friends and associates had set up a variety of spiritual practices and pursuits which they called, curiously enough, “The New Life Creative Activities,” or, “The New Life experiment.” In the winter of 1931 somone named Richard Mayer came into the bookstore and told Malcolm about a retreat that he knew of in England run by a Meredith Starr that had an almost identical structure and outlook as to the New Life group, and in connection with that, Mayer told Malcolm of Meher Baba, whom he had naturally heard of in connection with Meredith's group. 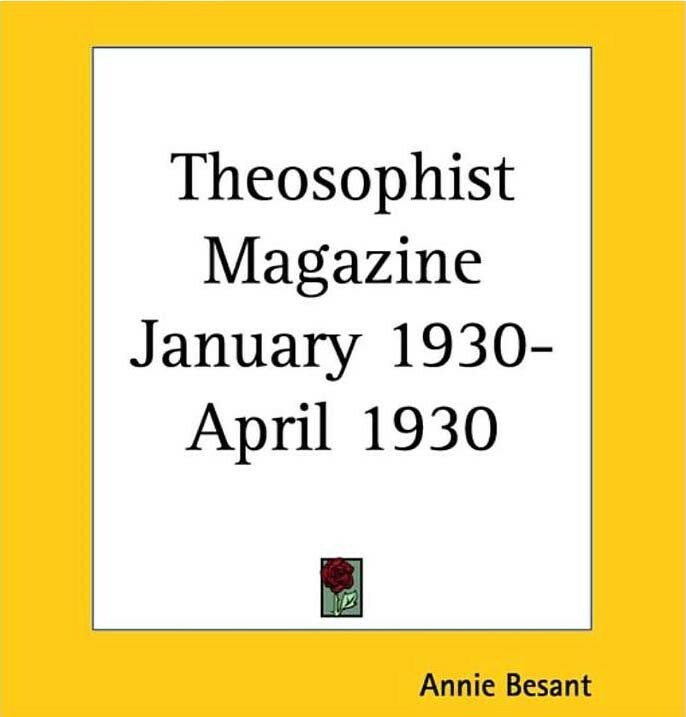 It turned out that there was a Theosophical group in Boston which had heard about The New Life experiment, and was interested in conducting themselves along the same lines. 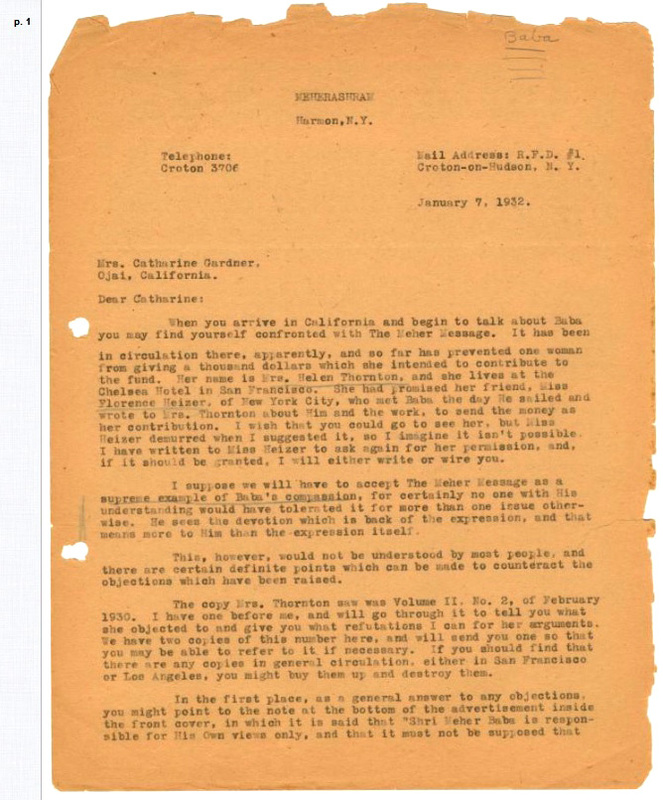 They invited Malcolm there for a talk, and at present at that meeting was Richard Mayer as well as Thomas Watson, the collaborator with Alexander Graham Bell on the invention of the telephone. Watson had a protege named Milo Shattuck who had spent some time at Meredith Starr's retreat in England. 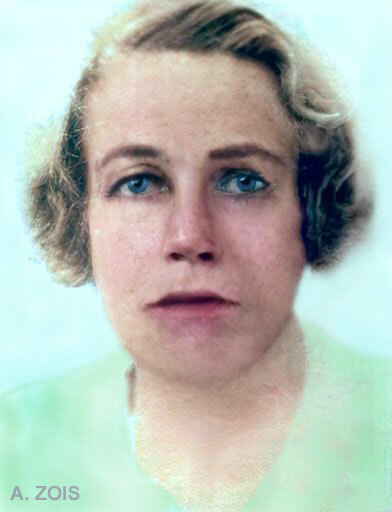 During the summer of 1931, a member of the Boston group, Cath Gardner, had invited Malcom, Jean, and others to live on her estate in Hancock, and to conduct the New Life experiment, although Gardner herself had still not arrived from California where she was living. As Malcom writes, when he drove up to first see the farm, which was called Greenfields, “I fell in love with it at once.” Also at that time, the North Node bookstore was folding for financial reasons. 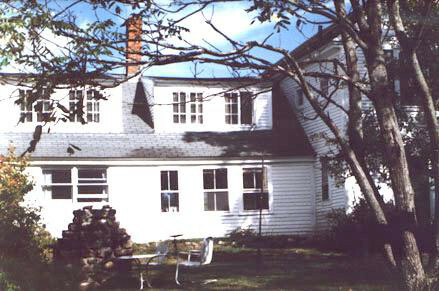 While Malcolm and Jean were in Hancock that summer, Milo Shattuck, had come up to New Hamsphire to visit his friend, the writer, Mary Antin, who was spending the summer at the artist and writers MacDowell Colony in nearby Peterborough. She told Milo about the New Life experiment and he was interested in going to Hancock and meeting the people living there. Within an hour he was there, telling Malcolm and Jean about Meredith Starr's retreat and about Meher Baba, although Milo had not yet met Him. Then, in September, with the Schlosses back in a borrowed apartment in New York, they and the others in their group heard that Meher Baba would be coming to America soon. This passage certainly raised the intrigue about Cath Gardner to an even higher level. 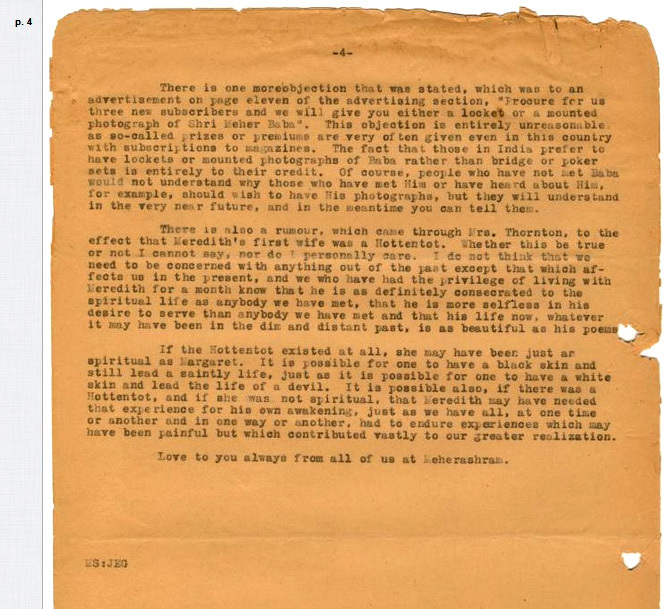 Why did Malcolm say she was the least likely to respond to Meher Baba? And, if she did in fact respond so strongly, where has she gone in the Meher Baba history? 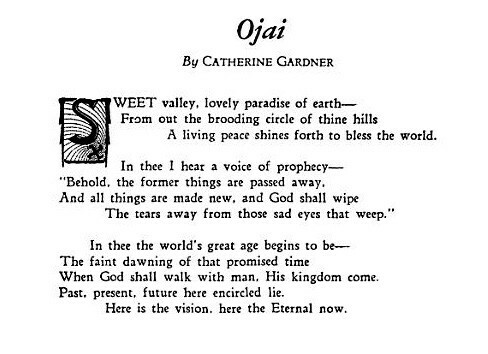 So, Cath Gardner had evidently married and had moved back to California. What about the Daniels family and then the Klein family? Did they know of Meher Baba, and did they know the history of their property? Before going to Hancock we attempted to speak to the Kleins but were not successful. We would have to show up unannounced. However, we were able to arrange to meet with several helpful and interested members of the town historical society. We didn't want to arrive en masse as a group in Hancock, so we planned that on a certain Saturday in September Naosherwan Anzar, Mahrukh and I (Nosh and Mahrukh coming up from New Jersey and staying in New Hampshire) would meet at the historical society in Hancock with those helpful town residents. Among other things, we brought with us photocopies of a picture that was taken, and was in Malcolm's collection, of Meher Baba in Hancock, and we subsequently gave those to these residents. With the above experience giving me a renewed charge of energy I went to find the historical society for our meeting. The get together with the three or so helpful Hancock residents that I had previously spoken with on the phone was cordial and yielded us the information that we needed, that the house and land in question was the right place, and that one of them would take us to where it was. During our discussion, one of them made an interesting remark. When we showed them the Hancock photo of Meher Baba, she said, “Oh, that's just the kind of man that Elsa Tudor would have met.” We were soon to find out the significance of this. They drove us to the house, located up on Norway Hill Road, and then went on their way, after noting that it looked like one of the residents was around. There was a bicycle propped up against a tree, and the inside front door of the house was open with only a glass plate outside storm door closing the house. The house was a somewhat large white New England farm house with what may have been new vinyl siding that had been put on at some point. 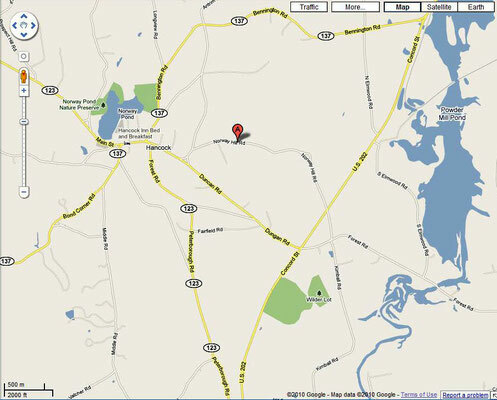 Although certainly not crowded in on this country road, there were nevertheless other houses nearby, perhaps at least one as part of this property, and the setting was one that was typical of small town New England suburbs. On the grounds right nearby the house was a built-in swimming pool. What might have been extensive fields at one time, were now wooded in, and those woods were about 30 yards or so behind the house. Standing there and looking at the house and area for the first time, this object of a quest stretching over almost a year, I found myself disappointed. I did not feel any special energy nor any sense of Meher Baba's presence. I had to repeat to myself mentally that this was the place Meher Baba visited and was considering establishing a Centre in order to try to give myself some sense that there was something significant about my being there. With some sense of tenuousness the three of us approached the front storm door. We knocked, and waited. No one answered. We peered in through the glass. It was dark inside and we couldn't see very clearly, but we could make out a rather large living room that still retained the look of the old farmhouse. After waiting there for a few more moments we went back to the road where our two cars were parked. What to do now? I told Naosherwan and Mahruukh about the cemetery and we decided to go there so that they could see it, and then, perhaps, when we came back the resident would have returned. So, we took a slow drive through some of the back roads of Hancock to find our way to the cemetery, and then once at the cemetery we took our time walking around and tried to figure out the various relationships of the Daniels and Klein families. After taking up as much time as we could we again slowly made our way back to the house. Alas, when we arrived everything was the same and no one was at the house. We stood out in the road alongside our respective cars, and decided that this was as far as we could go with this endeavour. Naosherwan and Mahrukh had planned to spend another night in the area, and I was getting ready for the long drive back home. I would say that we were within a minute of leaving, when a small pickup truck came up the road to the house and turned into the driveway. A minute later and we would have totally missed it. Wow! I felt a tingle of excitement at this timing. Again, the Glow journal and Lord Meher in hand, we walked back up to the house. Getting out of the pickup truck with a dog was a young woman and we went up to her and quickly said who we were and what our business was there. I didn't want her to immediately think that we were selling something. To our relief she was rather immediately friendly, and to our surprise said, “Oh yes, Meher Baba, somebody was here a few years ago from California, coming to look at this place for the same reason. “I had a quick thought in response to this. It was of relief that she had heard of Meher Baba in connection with this house, so that what we were doing had that measure of legitimacy. The woman invited us into the house. Indeed, she was one of two Klein sisters who lived or spent time there, although she herself lived in Boston and just came up on weekends and other vacation time. Sometime near the end of our visit the other sister, who was the full time resident of the house, returned, and we briefly met her. They had almost no other recollection of the previous visitor from the West Coast, and also had never otherwise heard of Meher Baba. The person that we had most of our conversation with had never heard of Cath Gardner, and did not know how or from whom the estate had originally been acquired by her grandparents. It was interesting to find out that both sisters were documentary film makers, and we showed a short video of Meher Baba to the first one. She said that she had always been interested in making a film about her great grandmother on her grandmother's side, whom she referred to as “The Countess,” and she said that if she did that it ought to include something about Meher Baba. It turns out that The Countess is the same person whom our informant at the historical society had referred to as Elsa Tudor. She had married a European Count, Msr. 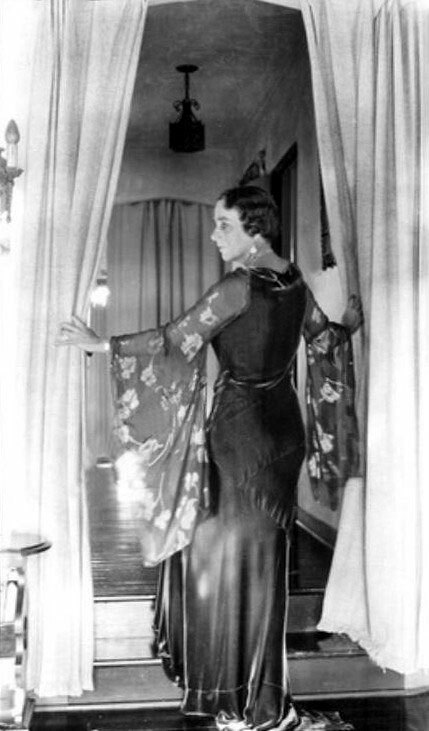 De Pierrefeu, and thenceforth was referred to as The Countess. She was a very unusual and remarkable woman, and Naosherwan, Mahrukh and I were struck by her significance in the whole picture. She was a poet, a mystic, and interested in Eastern philosophy, and in general a strong woman who was ahead of her time. She had been in correspondence with Gandhi, and at one point was thinking of going to India to be with him. We were then shown a book of her poetry and writings titled, Unity Of The Spirit. 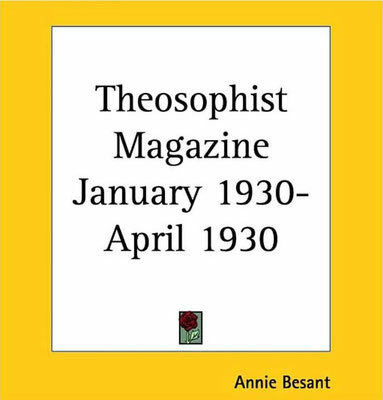 We wondered if she could have been involved with Theosophy, and this could have led to a connection with Cath Gardner, and then the purchase of the property by her son-in-law from Cath. Her great grandaughter, Ms. Klein, thought that was quite possible. With the meeting with Ms. Klein in the living room of the farm house, which indeed had been preserved with the original fireplace from over 150 years ago, and certainly as it was when Meher Baba was there, and the discussion of the family background, and finding about the fascinating Countess who was a possible link to Cath Gardner and then to Meher Baba and his coming here, my whole feeling about this visit had changed. I indeed now felt Meher Baba's presence in all this and the unfoldment of these events in the late afternoon in Hancock. And this presence of Meher Baba was so characteristic of His way of working. Not a presence that was abstract and fixed like a building or a stone wall, or even an old fireplace, but a presence that showed itself in perfect timing, in the play of events, and in the warmth of human exchange. 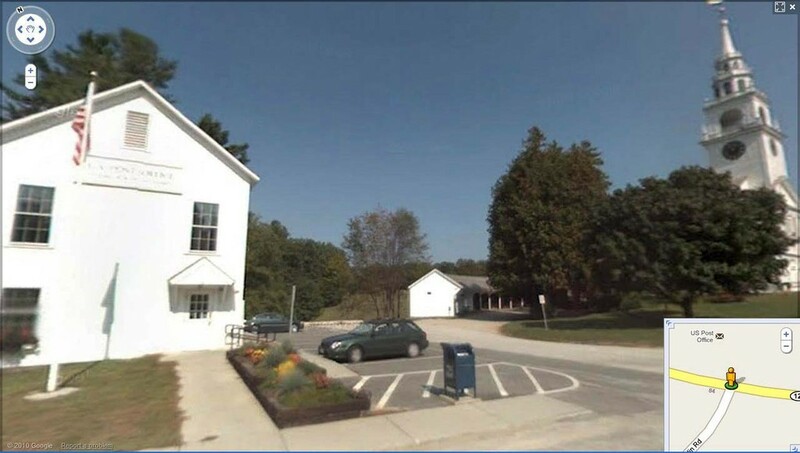 In our earlier meeting at the historical society, we had found out that the deeds of property exchange from as far back as the 1930's were not kept in Hancock, but in the Hall of Records in the county seat in Nashua. 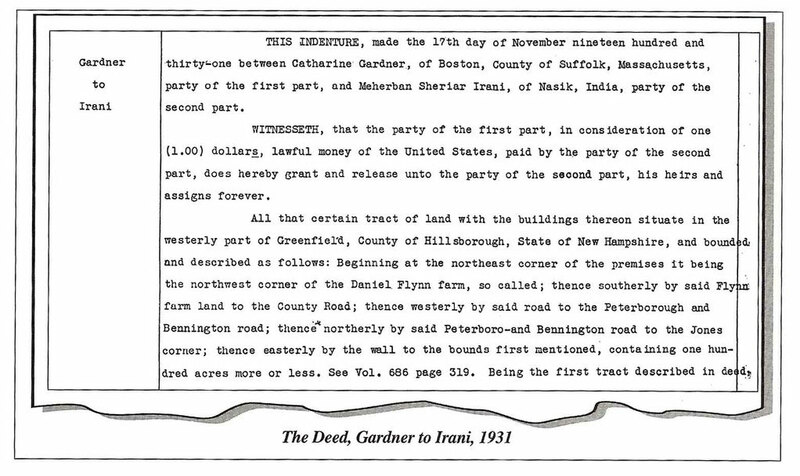 Only a summary note called a Real Estate Conveyance with book and page number of the original deeds were kept in Hancock. We thought it perhaps might be useful for additional information to try to look back at the original records of Cath Gardner's purchase and sale of this property, but that would have to be at another time and another day. A few days later after returning home, I spoke on the phone with Michael Siegell in Cambridge, Massachusetts and told him about what we had found on our visit to Hancock. 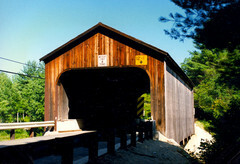 He said that it just so happened that for another reason he was planning a trip to Nashua, and that he would be interested in making a visit to the Hall of Records to see if he could find this information. becoming completely open and guileless. 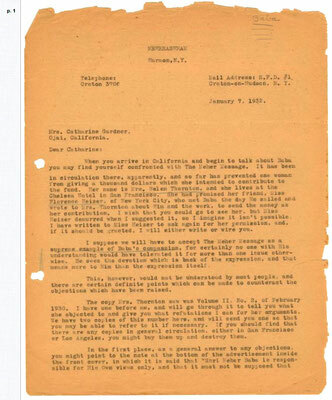 This letter from Cath Gardner to Meher Baba is enclosed with a cover letter to Kitty Davy, asking Kitty to get the letter or information to Meher Baba. She says to Kitty, “I have come to the end of my resources and cannot do any more to save it [the farm].” Then, noting that this is 1933, we find her telling Kitty, “I am sorry that things have turned out as they have with regard to this place, but the depression has hit me hard.” We can sense her distress in all of this. 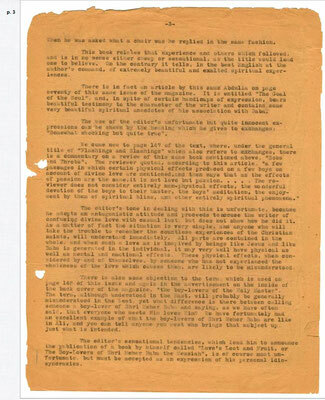 Then on October 19, 1933 is a letter to her from Herbert Davy, and signed in Meher Baba's own hand, MS. Irani. 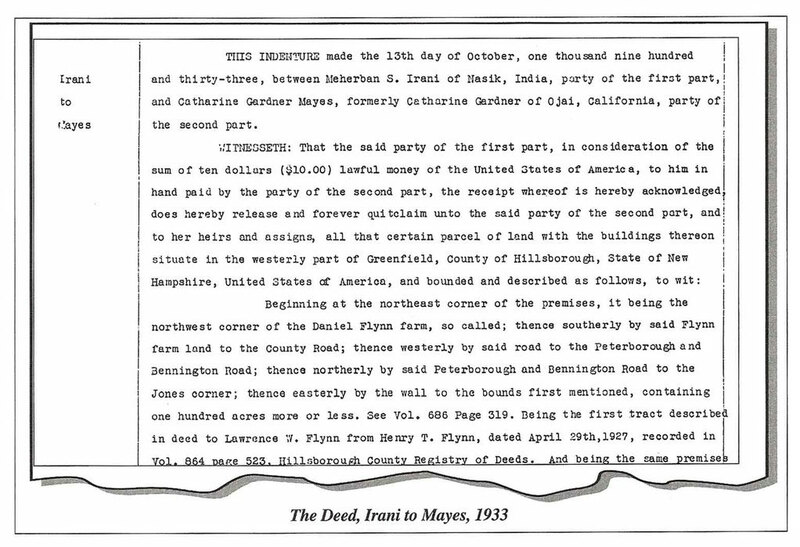 It informs her that Meher Baba has transferred the deed back over to her (this being the deed that Michael Seigell found in the Hall of Records in New Hampshire.) Then it asks her to send the proceeds of the sale to him, Herbert Davy, and says that the money will be used to finance the publications of Meher Baba in translations in several languages. 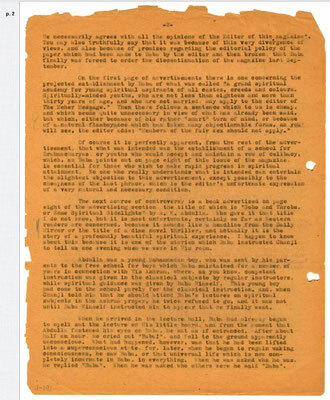 So, we can see that the end of Hancock as a centre for Meher Baba did not come about because of an overt decision by Him that it was unsuitable, but through more natural means — a leak in a roof, and problems with paying a mortgage. If not for a leaky roof, who knows, the Meher Spiritual Centre may be in a much colder climate today. 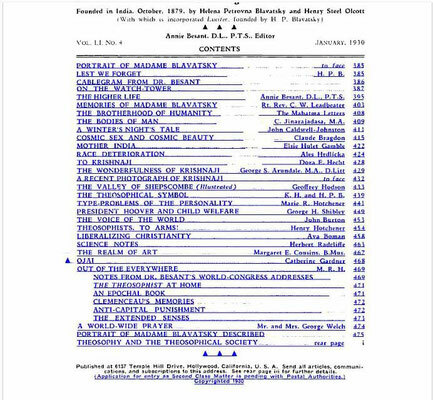 We also get an idea from the above exchange of why Cath Gardner, following her early encounter with Meher Baba, does not appear again in Meher Baba literature. 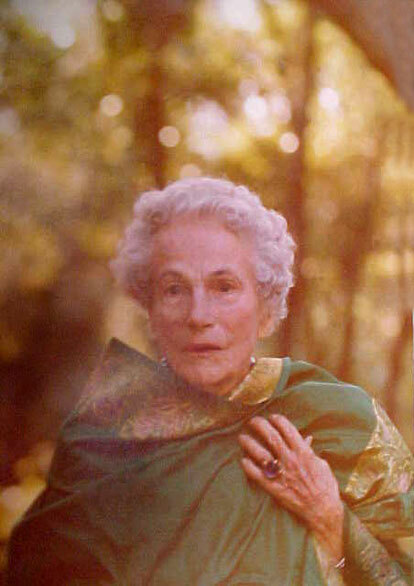 She remained in Ojai as an active Theosophist, taking a different spiritual path from this period until her death in 1987. People there who knew her described her as “a very special person,” and we can surmise that the “blaze of glory, radiant with light,” that she experienced with Meher Baba continued with her at the Krotona Institute until the end.